It sounds great but doesn't always work out that way. The Trump Administration has announced changes to the way student loans are serviced, reducing the number of firms students can choose from the current four to one. Critics say that creating a monopoly will reduce the incentive to provide good service. The administration says granting exclusive rights to the student loan servicing market will save taxpayers money while improving service to student loan borrowers. But others -- including those struggling with student loans -- say the system could hardly be worse than it is now. In formally amending Phase II of the federal student loan servicing solicitation, the administration is rolling back yet another policy put in place by its predecessor. During the Obama administration, the Department of Education took steps to place more student lending under the federal umbrella, taking business away from banks and private lenders. At present, there are four private companies still providing student loan servicing -- Navient, Nelnet, Great Lakes Educational Loan Services, and FedLoan Servicing. Under the Trump administration amendment, the government would solicit bids and select a single firm to service all student loan debt. Education Secretary Betsy DeVos said the current system is "chaotic" and having a single company servicing loans would streamline the process, making it easier for student loan borrowers. "The federal student loan servicing solicitation we inherited was cumbersome and confusing—with shifting deadlines, changing requirements and de facto regulations that at times contradicted themselves," DeVos said in a statement. "Internal and external stakeholders both agreed it was destined for a massive and unsustainable budget overrun." 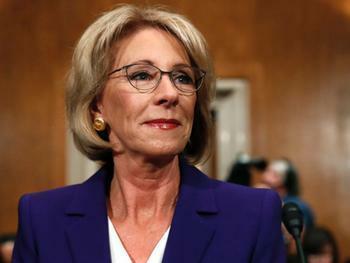 DeVos predicted the move would result in more user-friendly loan servicing while saving the government more than $130 million over five years. Critics, however, are not so sure. 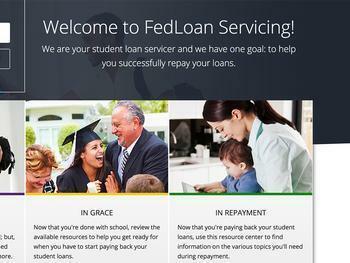 Perhaps the most notorious of the current loan servicers is FedLoan, a Pennsylvania company that has for years converted student grants to delinquent debt for the flimsiest of reasons. The most notable cases involve TEACH grants, awarded to students who agree to teach for a certain amount of time in impoverished districts. Even though the teachers hold up their end of the deal, FedLoan abruptly and with little opportunity for appeal rules that they are not in compliance because of minor paperwork errors and hits them with the full amount of the grant plus delinquent interest and penalties. The Education Department has been silent about the matter, which cheated teachers have described as "legalized theft," and has never responded to inquiries from ConsumerAffairs or, as far as is known, made any attempt to rectify the injustice. Close behind is Navient. In January, the Consumer Financial Protection Bureau (CFPB) sued Navient, the nation’s largest servicer of both federal and private student loans, saying it has failed borrowers at every stage of the repayment process for years. The bureau said that Navient, formerly part of Sallie Mae, created obstacles to repayment by providing bad information, processing payments incorrectly, and failing to act when borrowers complained. But despite the failings of the current system, some critics fear that having only one loan servicer will be even worse. Natalia Abrams, executive director of an advocacy group called Student Debt Crisis, expressed concern that the change would set up a monopoly, taking away the current system's incentive to provide better service. "With zero competition, we are concerned about a 'too big to fail' student loan company that has zero incentive to work for students, borrowers, and their families," Abrams told Reuters.